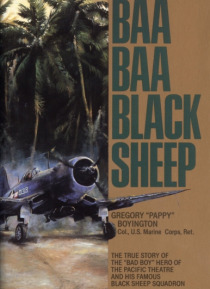 Here, in his own words, is the true story of America's wildest flying hero, of his extraordinary heroism, and of his greatest battle of allthe fight to survive.The World War II air war in the Pacific needed tough men like Colonel Pappy Boyington and his Black Sheep Squadron. The legendary Marine Corps officer and his bunch of misfits, outcasts, and daredevils gave new definition to ';hell-raising'… on the ground and in the skies.Pappy himself was a living legendhe personally shot down twenty-eight Japanese planes, and won the Congressional Medal of Honor and the Navy Cross. He broke every rule in the book doing so, but when he fell into the hands of the vengeful Japanese his real ordeal began.